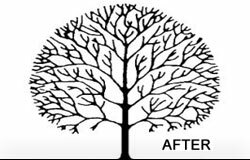 Advanced Tree Care provides a range of professional services at affordable rates! 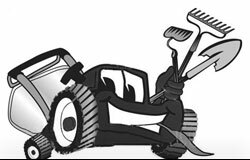 We specialise in a variety of garden maintenance and tree surgery services. 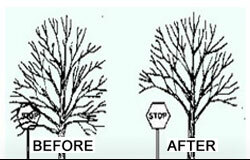 Do you have a tree that needs removing? Perhaps you have a hedge that needs a trim? Tree protection is undertaken by putting fencing or scaffold around the area of the tree so neither the tree or roots can be damaged when construction is taking place nearby. 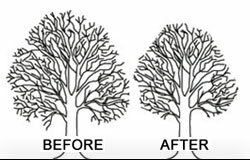 Tree pruning is the removal of branches which have been damaged or prevent light to underneath areas, pruning ensures the branches grow back healthy and can be pruned to distinctive shapes. 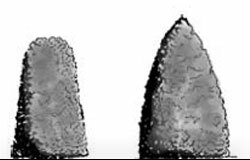 Formative pruning is the shaping of young trees; usually Apple trees to ensure they grow to develop a balanced shape in order to support the fruits. 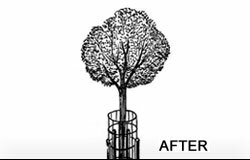 Crown lifting is the removal of lower branches, leaving a high canopy, crown lifting is carried out for a number of reasons, for example if the lower branches are hazardous to traffic or are too close to buildings. 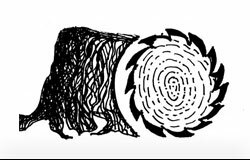 Pollarding is a method of pruning which restricts the size of a tree or shrub and with annual pollarding means the tree will remain the small size, this is used if a tree may risk reaching electric wires or creating large shade patches underneath. 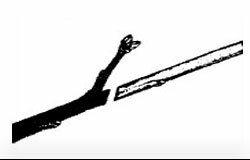 Stump grinding is the removal of a stump of a tree that was once present; the stump is then removed from the earth using a grinder and ensures that the stump wont grow back. 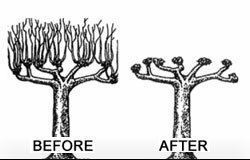 Crown reduction involves removing some of the branches from the crown of the tree allowing more light and to create a smaller appearance. 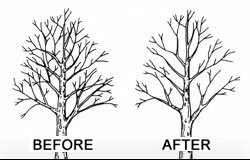 This is the removal of damaged, dead and broken branches from your trees or bushes. Dead wood can be dangerous when it falls and can cause further health issues with your tree if left. Hedge trimming is cutting away the overgrown areas of the hedge and reshaping to achieve more tidy and attractive appearance. At Advanced tree care we also provide the full range of grounds maintenance services for every size of site across Hertfordshire. Our commercial gardening service will create a beautiful landscape which will inspire employees, impress visitors and attract new customers. Our attention to detail and our presentable, knowledgeable and enthusiastic gardeners make us the best choice as your gardening contractors. We strive for High Quality results therefore we always use the highest quality equipment available, namely brands Stihl and Husqvarna to get the job done to the highest of professional standards. We also offer a range of Firewood logs to suit your needs all year round; whether it is for summer BBQs or wood burning fuel stoves and open fires. All our logs are well seasoned in our dry storage units but freshly cut logs available upon request. 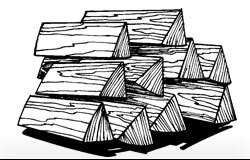 The size of logs varies, we have no problem in supplying logs to all types of log burners and open fires, just contact us with your requirements. You are even guaranteed FREE DELIVERYwithin 10 miles of Bushey, £1.50 per mile thereafter. Visit our Contact Us page and feel free to give us a call or email and we can arrange for all your tree work and garden maintenance needs to be met!